This is not your typical scooter. It glides smoothly, but at night it’s all lit up with impressive LED deck and motion-powered wheels. With its reflective deck featuring a neon under glow, children can’t help but be noticed wherever they go. 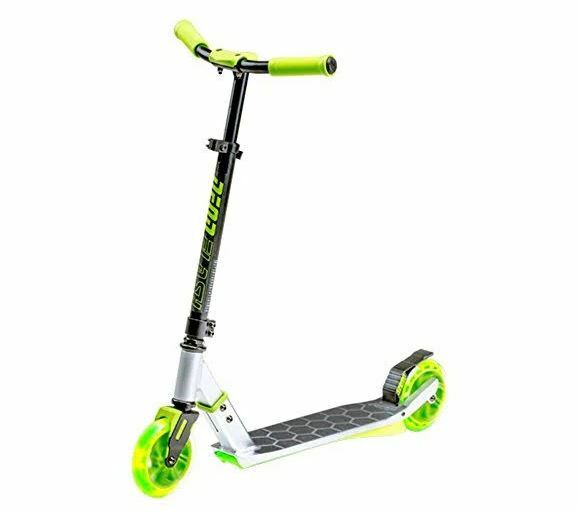 This strong and durable scooter with a lightweight aluminum frame is perfect for quick and easy transportation.